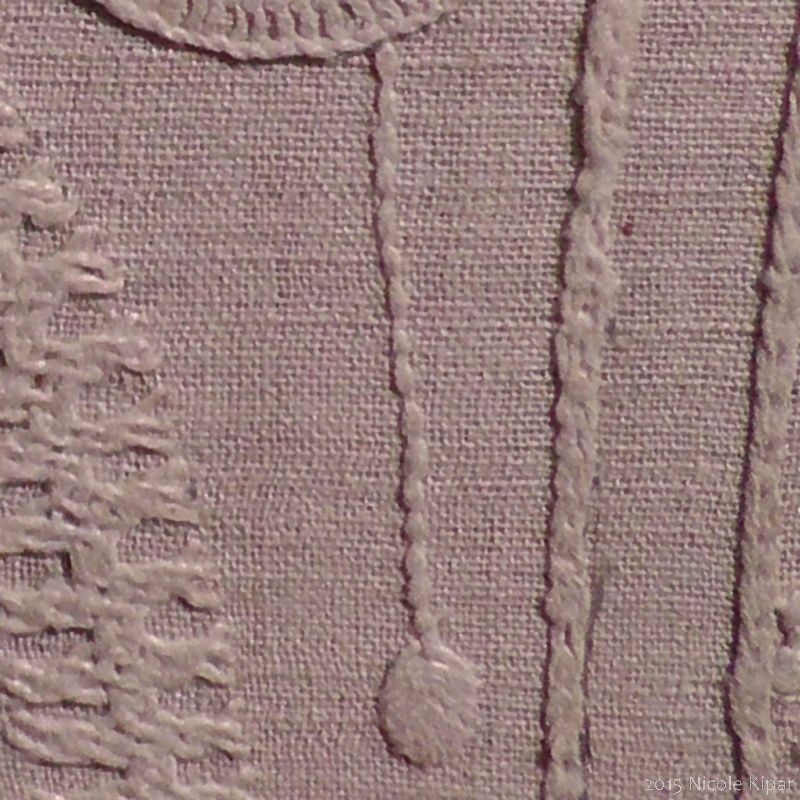 18th century silk gown. 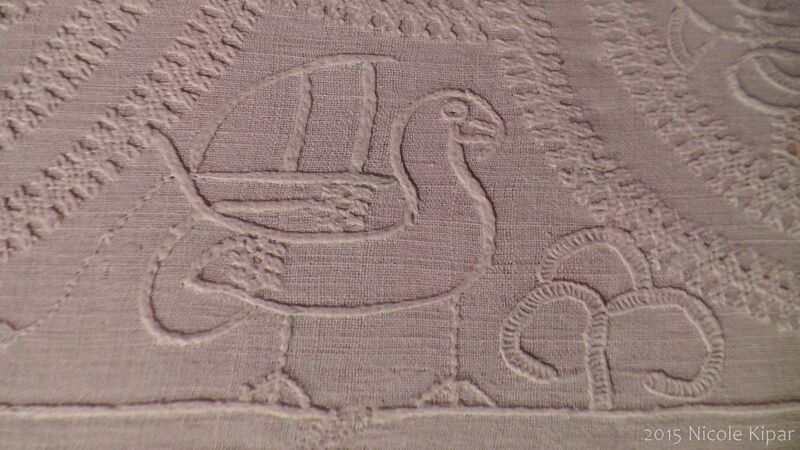 Photos taken in April 2007 in the Kelvingrove Museum, Glasgow. 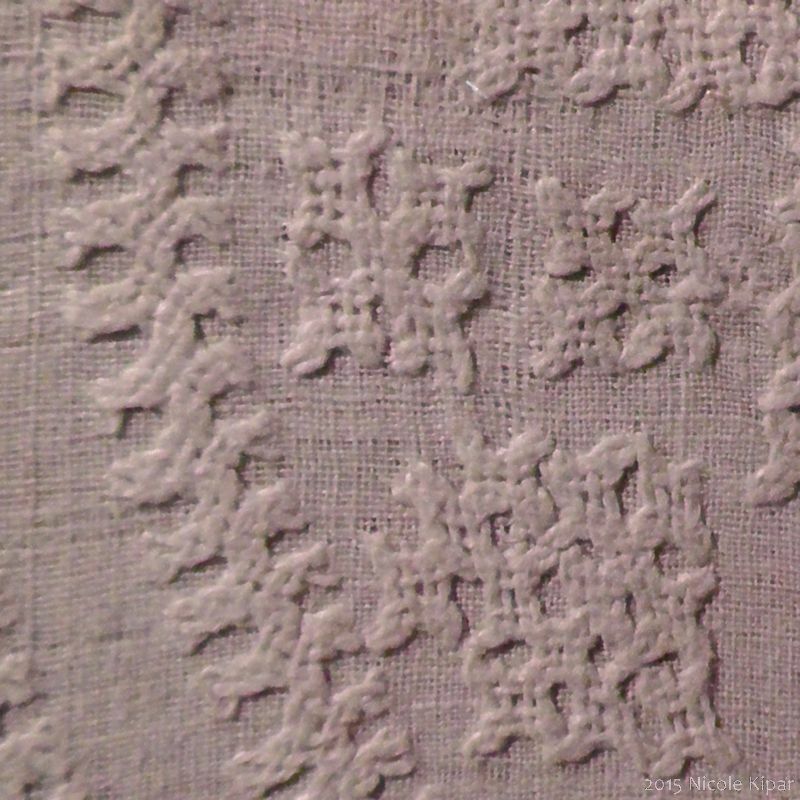 These photos of a Swiss linen ruff from the 17th century were taken in the Landesmuseum Zürich in June 2015. 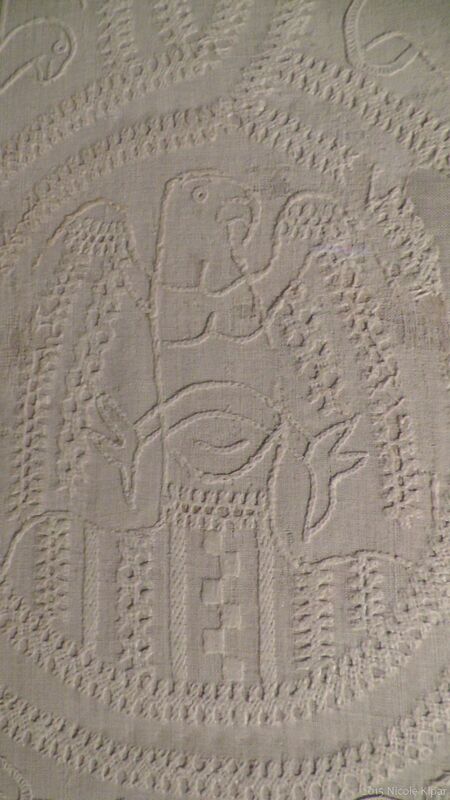 I am using Flickr to upload photos taken in museums, with the aim to share these photos of (mainly) extant textiles and dress and make them available for research and study use. They are organised in albums by object and will be continually added to. 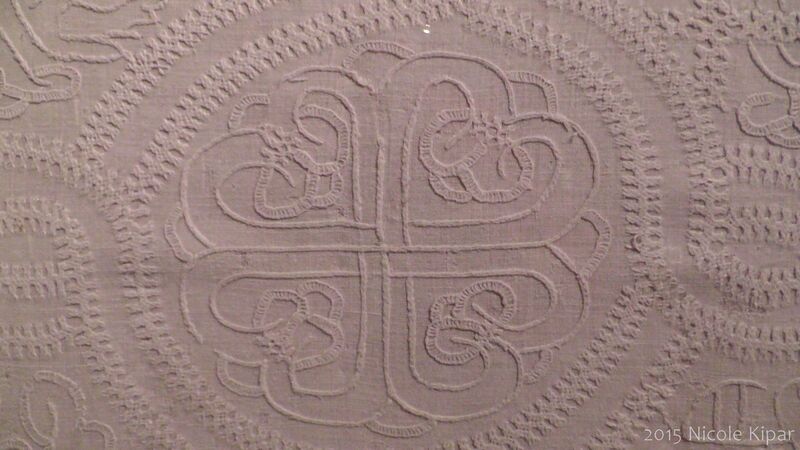 These were taken in June 2015 in the Landesmuseum Zürich, and are of a silk doublet from c.1620. 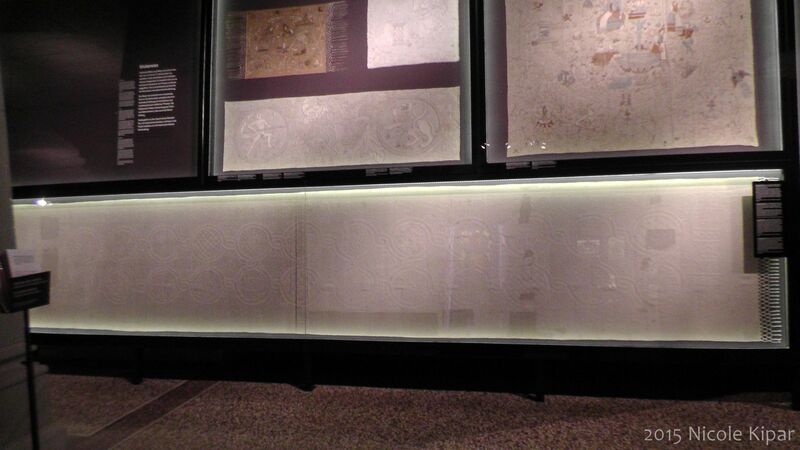 The following was put together after my fieldtrip to the Landesmuseum Zürich (Switzerland) in June 2015. 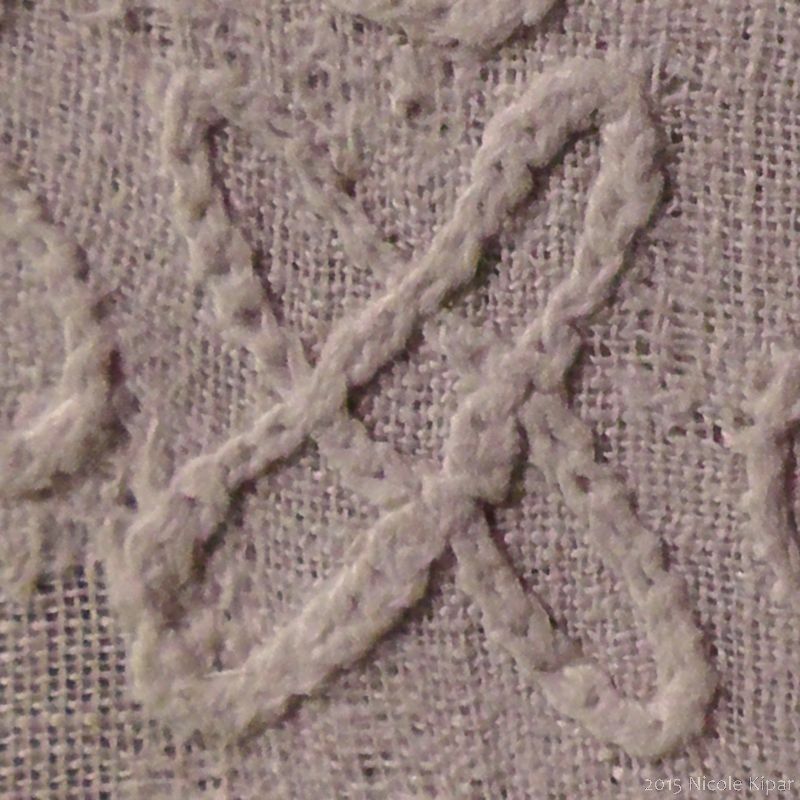 All photos were taken by myself, and all pattern drawings were made by me. 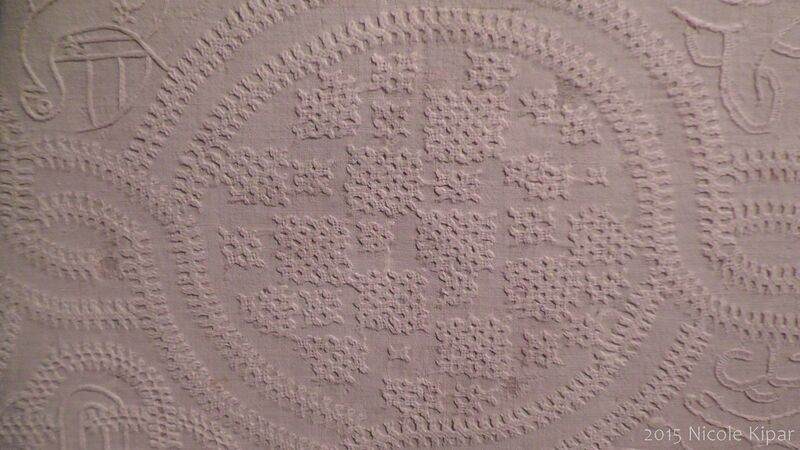 Tablecloth. 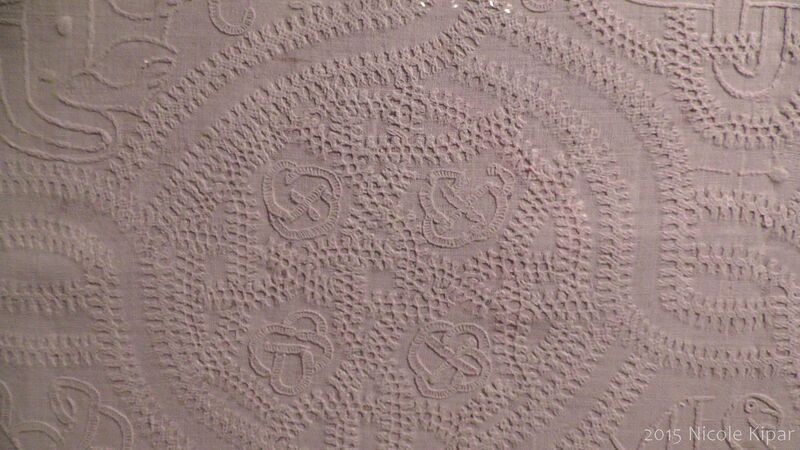 26 circles . 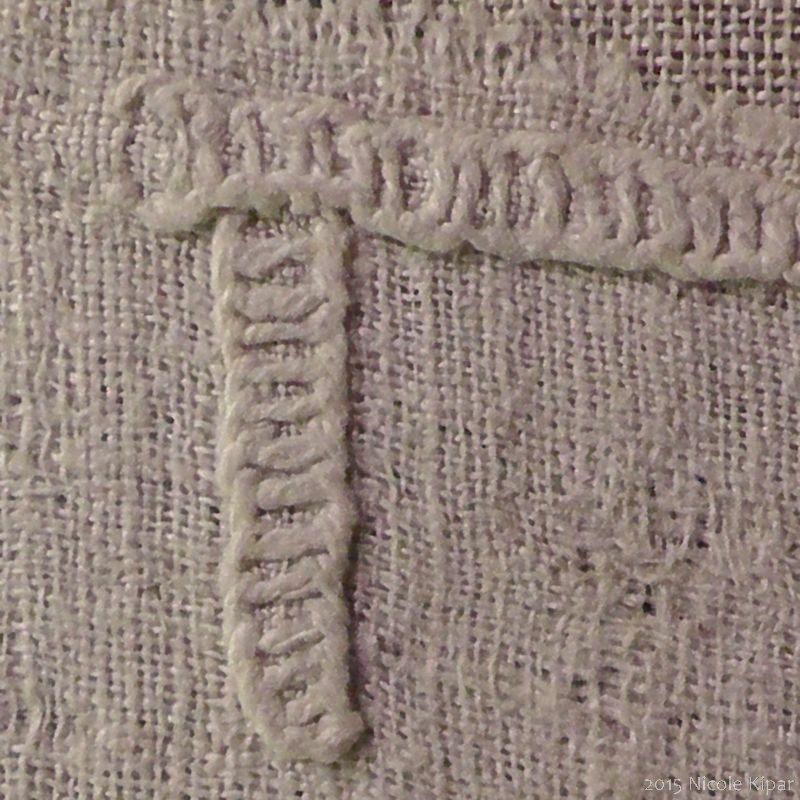 Linen thread on linen cloth. 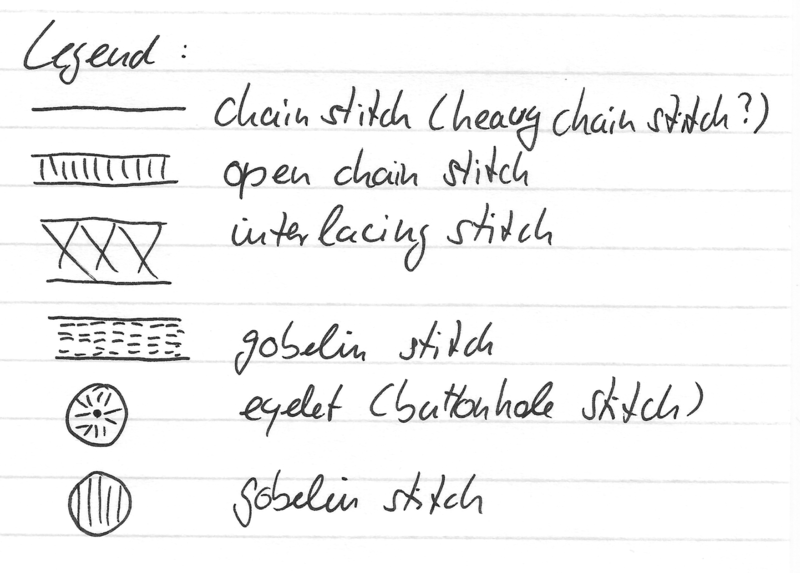 Stitches used: stem stitch, chain stitch, (open chain stitch), (heavy chain stitch? 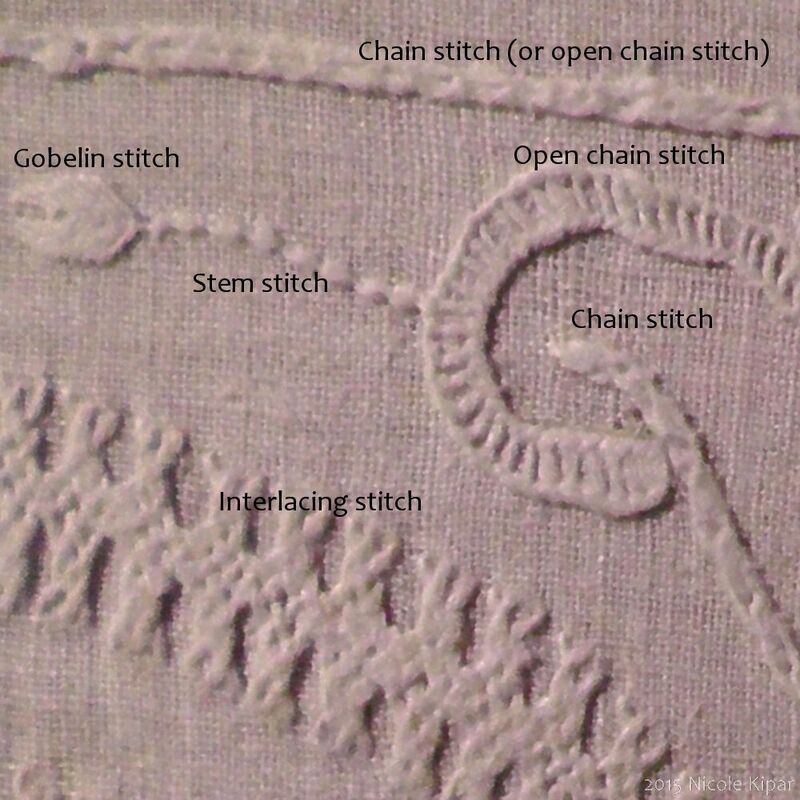 ), gobelin stitch, herringbone stitch, interlacing stitch, (buttonhole stitch). 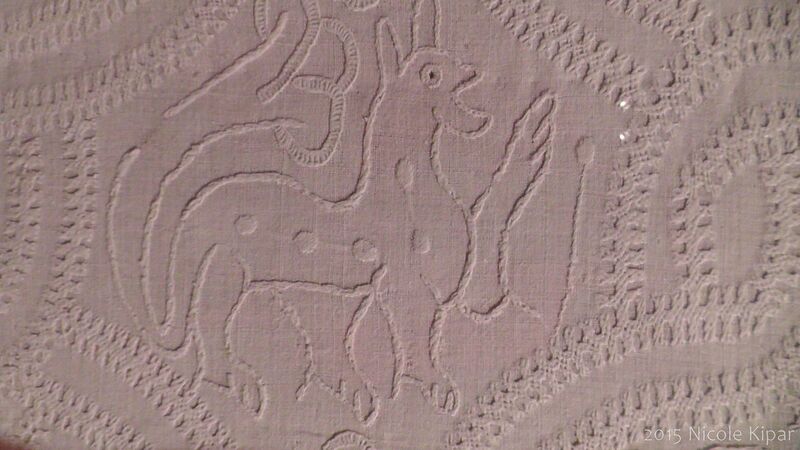 Provenance: Switzerland, East Switzerland. Dimensions: height 111 cm, width 684 cm. 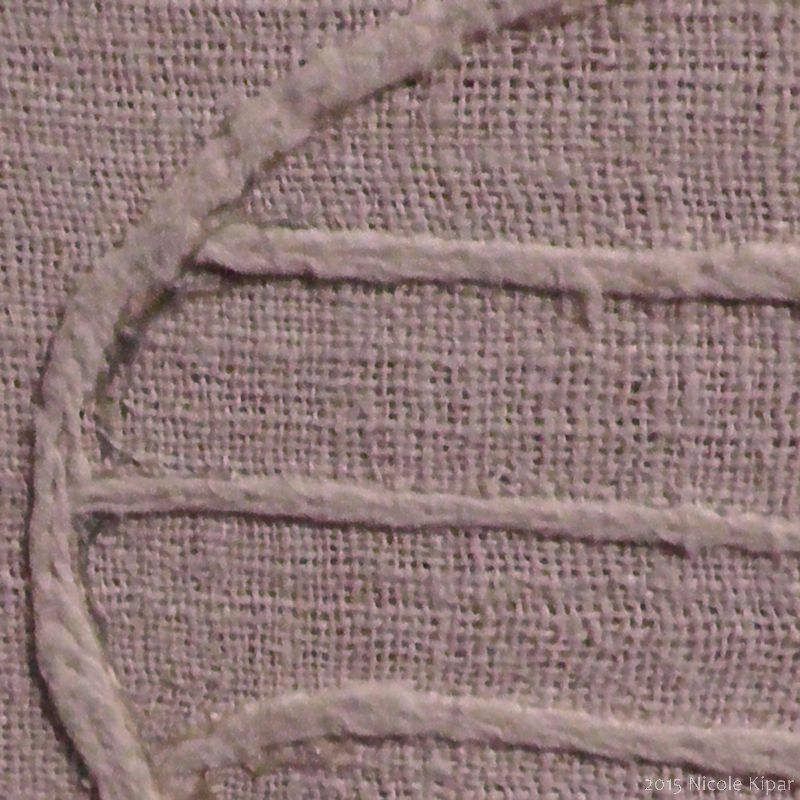 The stitch names in brackets are my own interpretations of the embroidery, having compared the original stitching to modern samples. 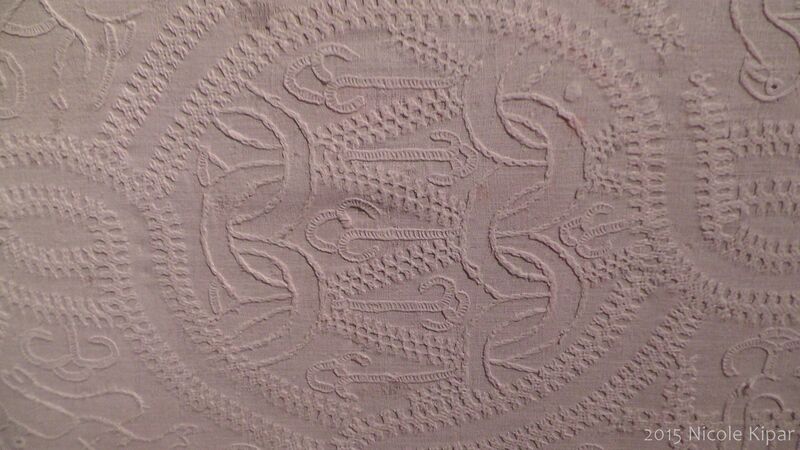 They contain 9 close-up photos of different circles, and 3 of bird & beast motifs. 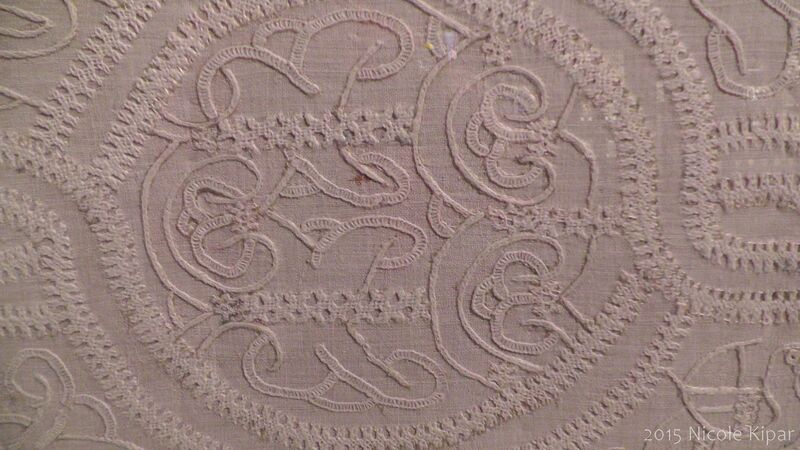 It also contains 8 design drawings, 7 of which are drawings of the designs seen in the photos (as indicated) and the 8th was drawn from the tablecloth while in the museum, but I had not been able to take a good photo of the circle. 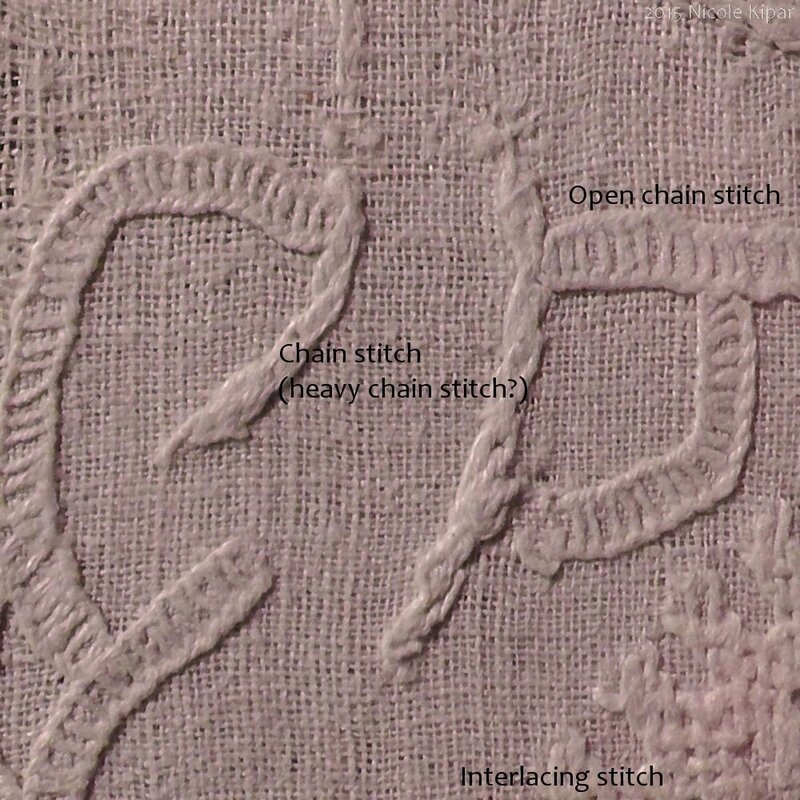 High resolution versions of the images in this document, including the design patterns may be downloaded from this post. All images open up as high resolution. 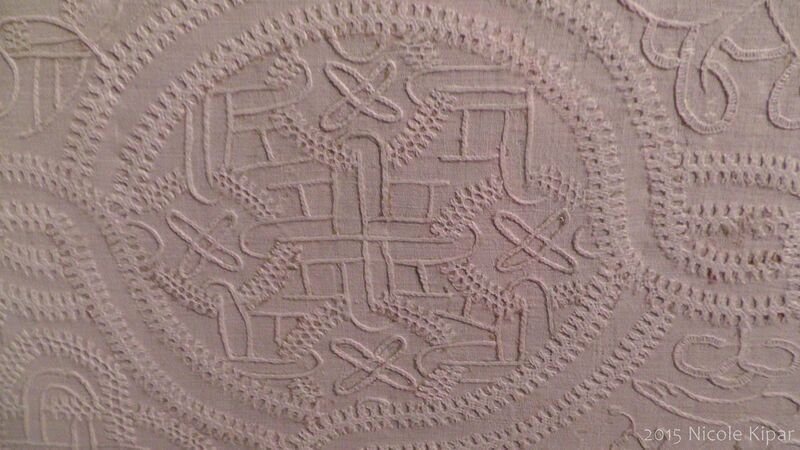 The patterns are my interpretation of the originals i.e. 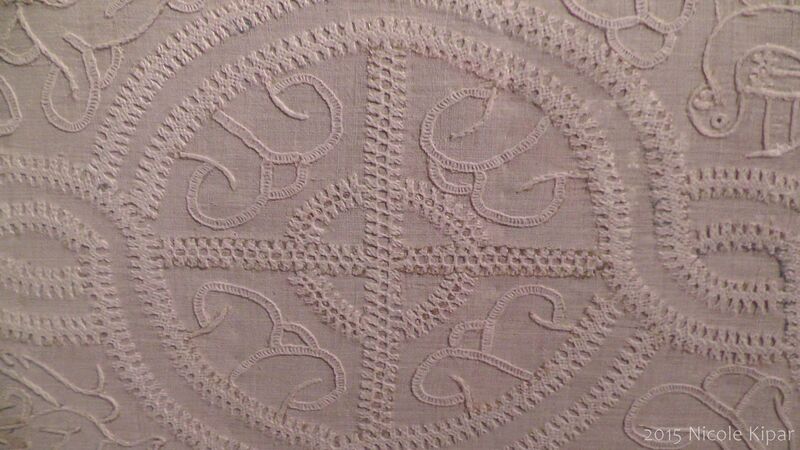 they are not a slavish copy but rather a ‘technical drawing’ that makes every effort to remain true to the geometrical nature of the original embroidery designs. 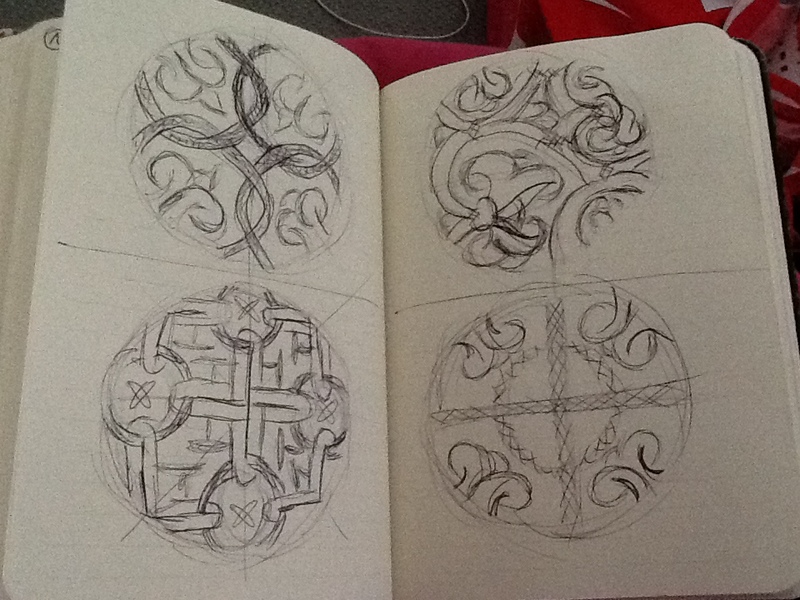 I created the design patterns using a pair of compasses, triangle and ruler, as well as freehand drawing. 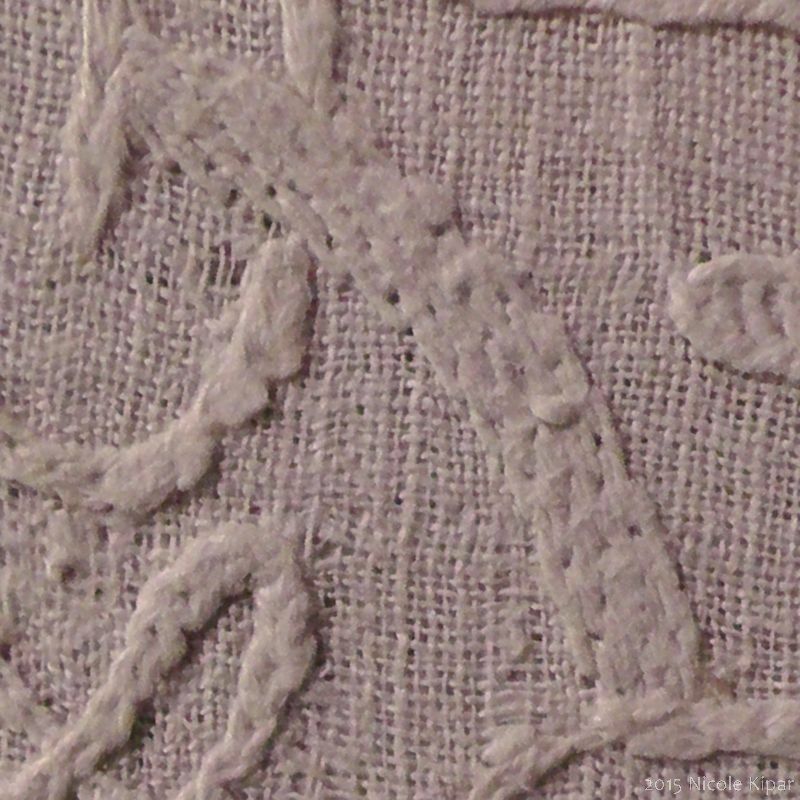 The following close-ups show the embroidery stitches used on the tablecloth and my interpretations of them in brackets (see above Description of Object). 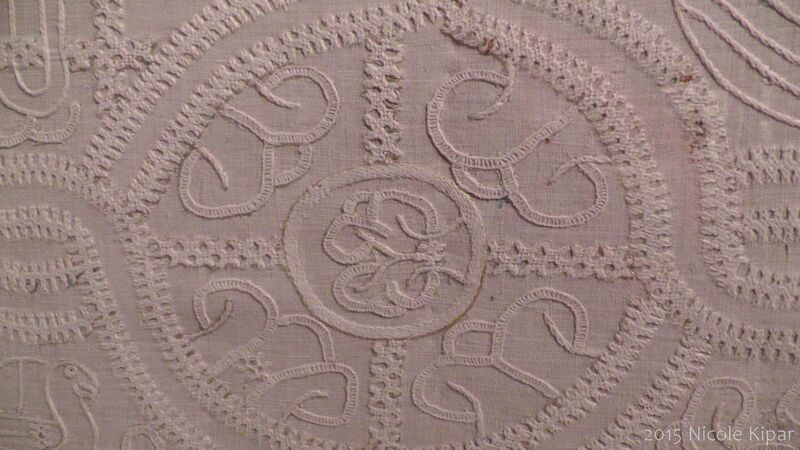 Please refer to the legend regarding the placement of embroidery stitches in the design patterns.